With the recent controversy over prayers being said in council meetings and in parliament I thought it would be interesting to blog about the subject. What does seem to be clear is that very few people actually knew that councillors and politicians pray as part of their formal meetings. Whether this is right or wrong is another debate, as is whether or not all faiths should be represented – one thing is clear though – politicians are among the most prayed for people in the UK. With all this prayer and good intention swirling around the ether you may be wondering what on earth is going on in the UK Christian community. Why are we so damned compliant? There are some semi-formal Christian groups among politicians themselves. There have been for a while. And Christians (on the whole) will pray for politicians. You can view this as perpetuating the status quo, but the reason it is done is because part of the new testament specifically calls on Christians to pray for national leaders. Specifically prayers are said that leaders will act with wisdom. But it can get out of hand and I’ve heard Christians pray for politicians to be protected, for their possessions to be protected, for them to be protected from the intrusive media, for them to be blessed in everything they do, Amen and Amen etc. There are a number of Christian groups with websites dedicated to praying for those in power. I refuse to pray for them out of principle, but I’ve had it made clear to me in the past that I’m not toeing the Christian line on this issue. 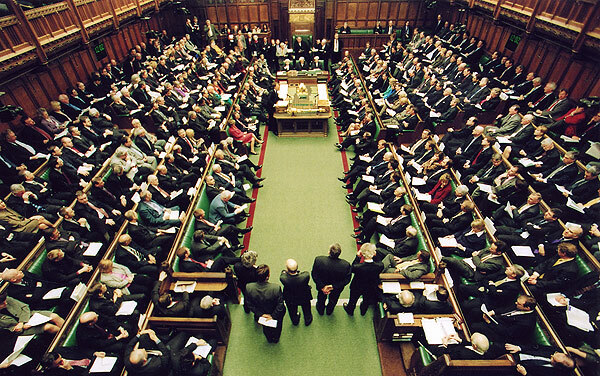 There is even more prayer among politicians themselves at each sitting when both the Lords and the Commons begin the day with a formal prayer. In the commons, attendance is voluntary and MPs have to stand facing the wall behind them (a tradition thought to be based on the difficulty of praying while kneeling and carrying a sword). So Christians will often pray for politicians, that the decisions they make will benefit the people of this country. The only problem is (as I’m sure you may have noticed), sometimes, prayers are unanswered.